In Windows XP, you just have to double click on the appropriate network icon from the taskbar and the Network Connection Status is opened. 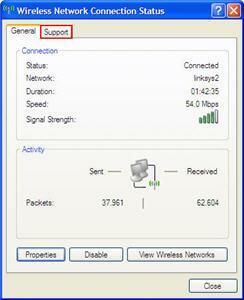 In the General tab you see details such as the network speed or the packets that are being sent and received. If you click on the Support tab you can see your IP address and Subnet Mask. 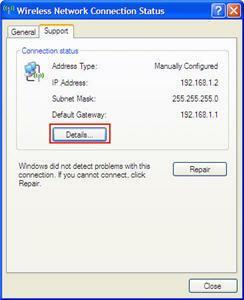 In Windows Vista, if you double click on the network icon you will see a list with the networks you are connected to. 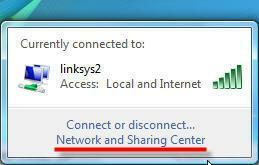 To access the Network Connection Status, click on the Network and Sharing Center link. Here you will see a more detailed list with the networks you are connected to. Click on the View status link for the network you want to check. The Network Connection Status window will open. As you can see, it is a bit different in comparison with Windows XP. The main difference is that the Support tab no longer exists. 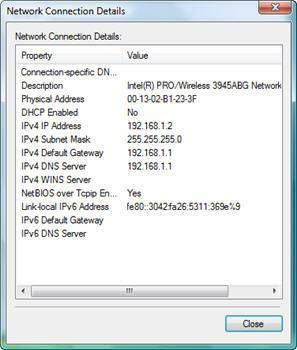 However you can still see details such as your IP address, Subnet Mask and so on. All you have to do is click on the Details button and you will have access to even more information than before. 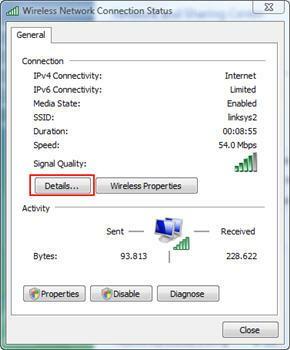 In Windows 10, first click the Network Icon (1) in the taskbar and then click Network settings (2). 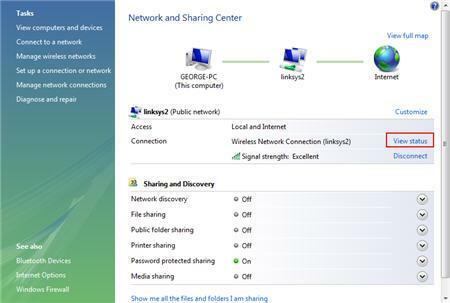 New screen opens and now click Network and Sharing Center and you can view your active networks and set up new connections. It's all very simple until I want to share media with my Xbox 360. It keeps defaulting as 'unknown network' or 'public network' after each restart. Is there a way to keep it as a private network? Public network disables media sharing. Can't see any share drive from XP machines although I could ping these machines. I'm also unable to get to these PC by either entering their IP or full address i.ec \\machinename\sharedrive. I was able to connect to all network printer and the internet. I've lost my "view status" when I've used my dial-in connection. Rebooting hasn't returned the "view status" link. I am in the dark when it comes to technology. I just bought a DELL laptop and it has a wireless card. I was able to connect to the internet for the first week. Now it say that it is unable to find any networks, but my PC at homes finds them perfectly... Is my laptop the problem or is it my router? Any suggestions? Can i use this content for educational purpose? when i connect to broadband to my vista - HP laptop .in status bar shows ACCESS- ONLY LOCAL instead of 'local and internet; on ipv4. so i can ping but cannot connect to internet. HOW can i change the setup? i cant seem to see the network icon on the notification taskbar n i can't click the checkbox asking whether we want to always show the icon, same goes for the volume icon. i can click it for the power and clock box. anyone know what;s the problem?? One more useful Windows feature removed... Any shortcuts? Is it possible to get a direct shortcut to network traffic and speed like in the old days? Going down through all these convoluted steps to get to the status window (which should be directly accessible in the tray in place of the tons of useless ones) is a major usability rollback (among many others in Vista to all who have used this OS for any length of time have undoubtedly found out). Any idea what is the actual name of the status window application? Once known it could as simple as getting a shortcut or tray icon for direct access. Or did Microsoft once again purposefully remove a useful feature with an extra layer of obscurity in the name of sacro sanct 'convenience' or 'security'? I don't know about you guys, but I'm sick and tired of constantly having to fight Microsoft to get back control of MY computer!!! I have a lenovo laptop, with Windows Vista installed. For a week now the web page says "Cannot Find Server" although the PC that is conected to the router works fine..
im a newbie when it comes to this technology thing and i will appreciate it very much if you could help me with my problem. i've been trying to use the WIFI connection of our school.. it says that my connection is good but still i cant surf the net.. when it was diagnose it says that " there might be a problem with 1 or more network adaptors on this computer" what does it mean? how can i correct this. I recently bought a new Compaq with Windows Vista. I can't get it working with my Belkin wireless router. When I go to Network and Sharing, I can see my wireless connection but it's disabled. I right click to enable it and the enabling window pops up (running) but it never completes the process. Left it on all right and still nothing. It's like it's stuck in a loop. How can I set up a network so I can access my files etc on my broken laptop (monitor). I was using an external monitor but now my vga port or connection is fried. HELP I want to get into my files. My backup computer is xp and my vaio is vista. Cannot connect to Internet Wirelessly. But can connect with wire connected to laptop frm router. I'm using Windows Vista Home Premium...Please help. I have a wireless router that I use for my iPad and TiVo connections. But my desktop is connected by wire to the Internet. The connection goes to the router and then to my desktop. But the desktop keeps dropping the Internet connection. Can you tell me how to set it up so this won't keep happening?